This is the moment! The Justice League is formed! And I could’a had it for a lousy 80 bucks! “Don’t know what you got ’til it’s gone,” sang the great philosopher Tom Kiefer. Since ’89, I had a comic shop. My own comic shop. I mean, not literally my own. I was a customer, not an owner. But it was like they say in the “Cheers” theme: “Where everybody knows your name.” (I abhor “Cheers,” by the way.) I could go to my shop and hang out. Dissect the latest superhero movie. Trade stories of collecting, reading, experiencing comics. Bust balls. Pick up some books or accessories. Walk out feeling like I’m part of a community. A community of nerds, mind you, but a community nonetheless. Comics Plus in Ocean Township, NJ, closed its doors in November. The first I learned of this was Thanksgiving Day, when I rode by and saw the sign. I had been there a month earlier, to buy trading card sleeves for a few “Monster Mash” appearances. It’s very sad. Those guys were cool. I even thought of a dude named Pete as “my” comic-shop clerk. It was like being in a Kevin Smith movie, hanging out there. Back in the early ’90s, Comics Plus was having a 50-percent-off-back-issues sale. 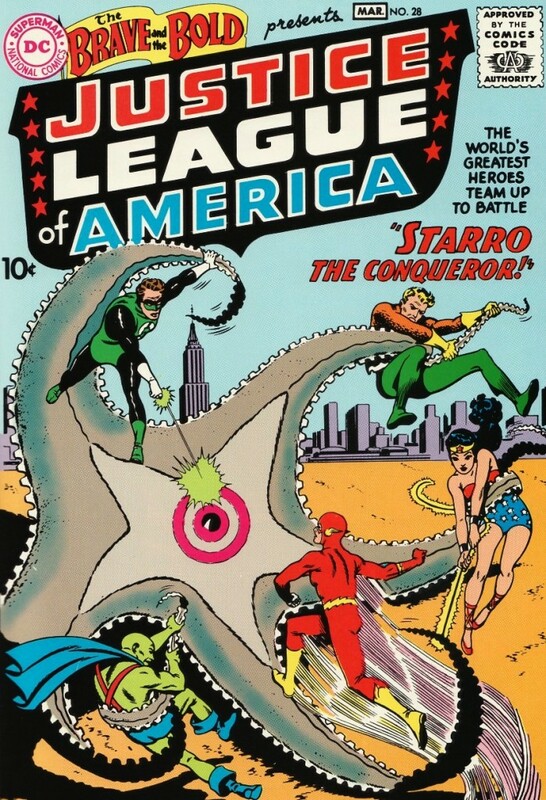 This shop had a beat-up copy of the coveted 1960 book The Brave and the Bold #28, which presented the first-ever appearance of the Justice League of America. The book wasn’t in great condition, but it still had its cover. The 50-percent-off sale brought the price down to a relatively affordable (by The Brave and the Bold #28 standards) 80 bucks. Man, did I go through some excruciating, soul-searching internal debate ovcr whether or not I should buy that book. I’d never spent that kind of money on a single book before. I was afraid I might be crossing a line, addiction-wise. Kathy and I had a lot of bills, like any couple. But life is short, and you should treat yourself once in a while. What to do? I ultimately decided, with a heavy heart, not to buy it. The day after the sale, I attended a comic-book-and-trading-card show at Seaview Square Mall (it’s not there any more). I ran into an acquaintance who was there with his teenage son and his teenage son’s friend. I mentioned that I came “this close” to buying The Brave and the Bold #28 for a lousy 80 bucks. The teenage son’s friend said, “I did buy it. I’ve got it right here.” Then he pulled that same copy of The Brave and the Bold #28 out of his bag! There it was — a book that every ’60s comic book collector considers a Holy Grail! Farewell, Comics Plus, and thanks for the memories.